Some trees have already lost all of their leaves and some are just coming into their full beauty. This maple is at its peak but it won’t be long before it, too, loses all of its leaves. So I will enjoy it while I can. Are you sure it is maple. I have never seen a maple,with yellow fall leaves. They are maples. There are several different variety of maple trees. 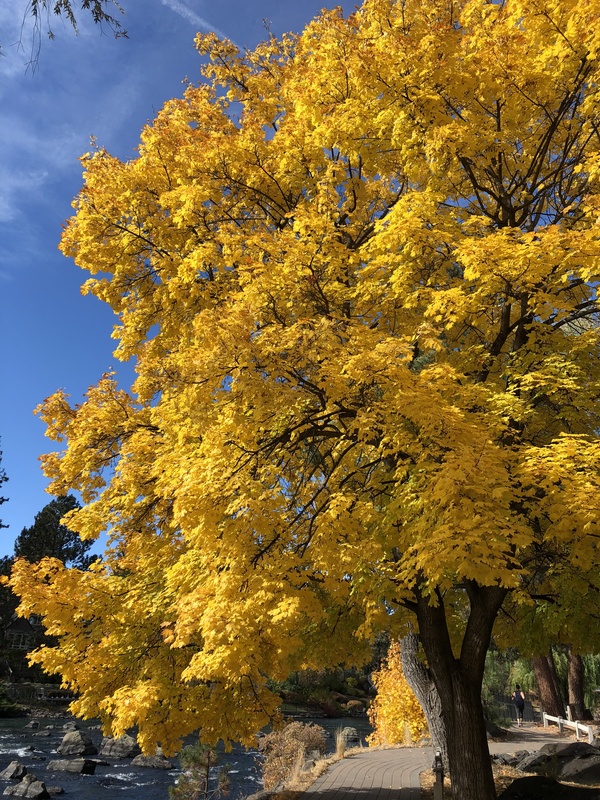 (https://www.fast-growing-trees.com/blog/these-top-maple-varieties-provide-the-fall-color-you-need/). We have trees that turn red, orange and yellow. Righ across the street from my office we have some maples turning a beautiful shade of orange.